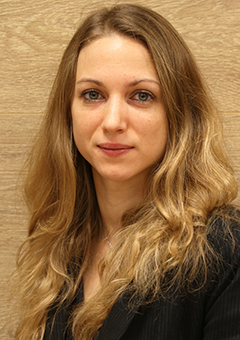 A specialist of the geopolitics of climate change, Alice Baillat is a Research Fellow at IRIS. Her research mostly deals with migratory and security consequences of climate change, and international climate negotiations. She takes a closer look at the specific situation and needs of the most vulnerable developing countries, and their negotiation strategies. She has published various articles and book chapters, such as her contribution in L’enjeu mondial. L’environnement, a book edited by François Gemenne and published by Les Presses de Sciences Po in 2015.She also co-authored a book chapter on the framing of migration and security issues during the COP21 in the book Globalising the Climate. COP21 and the Climatisation of Global Debates, edited by Stefan C. Aykut, Jean Foyer and Edouard Morena and published in 2017 by Routledge. Alice Baillat holds a PhD in Political Science and International Relations from Sciences Po Paris. Her thesis entitles The weak power in action. The Bangladesh’s climate diplomacy. She also holds a research master in International relations from Paris 1-Panthéon Sorbonne University. Alice Baillat has joined IRIS in January 2017 to work within the new Observatoire géopolitique des enjeux des changements climatiques en termes de défense et de sécurité, co-directed by Bastien Alex and François Gemenne. For several years, she also teaches international environmental politics at Sciences Po Paris and co-organizes the research seminar ‘Environment and International Relations’ at the Centre for International Studies (CERI).